BlueSkyBlue Atmos 5 layer flying suit The BlueSkyBlue Atmos 5 layer flying suit is the Worlds FIRST and ONLY 5 LAYER flying suit. It is available with or without plastic thigh map pockets (select through Leg Length). It is manufactured with 260gsm of insulation as follows: 1. The outer CORDURA ® fabric which is windproof and has a great tough feel for durability. 2. The inner middle layer is 80gsm THINSULATE (TM) made by 3M. The unique microfibres of ThinsulateTM Insulation are about ten times smaller than the fibres of most other synthetic insulations, which means they’re much more efficient at trapping air, and more effective at keeping you warm. It also means more fibres can be packed into the same space, where they can reflect back more of the body’s radiant heat without being bulky. 3. The middle layer is 100gsm POLYFILL QUILTING. This is a superior insulating material which is designed to retain body heat as much as possible. 4. The outer middle layer is a further layer of 80gsm THINSULATE (TM) made by 3M. 5. The suit lining is black BOSKY, this is a new material in our suit range which is dyed using only azo free materials in the production process and has improved wear properties. BlueSkyBlue BRAVO style Ultimate Flying Suit The BlueSkyBlue BRAVO style Ultimate Flying Suit is a 4 layer garment designed for use in cold weather. 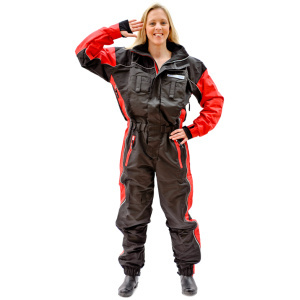 Typically, this suit is perfect for use in open cockpit microlights at altitudes of up to 10000 feet. BlueSkyBlue DBX flying suit The BlueSkyBlue DBX 4 layer flying suit is the original FOUR LAYER CORDURA® flying suit. It is available with or without plastic thigh map pockets (select through Leg Length). 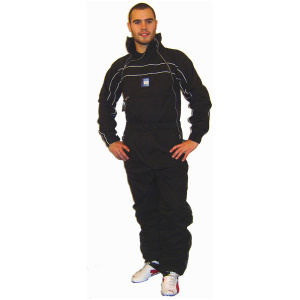 This garment is designed for use in cold weather: 1) Drawstring on collar for snugness 2) High quality YKK zips used throughout with storm flaps. 3) Pocket YKK zips also covered with outer flaps for style and protection. 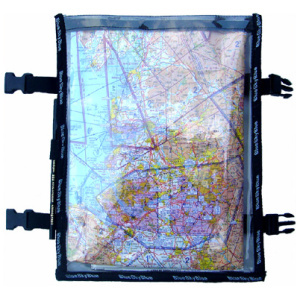 4) Inner flaps on the three main zips 5) Available with or without - Large Clear Plastic pockets on the thigh with Velcro fastening for maps, radio frequencies, etc. 6) Adjustable and elasticated cuffs 7) Two way YKK zips on legs mean you can access your trouser pockets. 8) Central YKK zip also two-way, allowing male flyers to have a convenience break without removing the suit. 9) Generous breast pocket for radio, camera, mobile phone or pda. 10) Reflective piping means higher visibility. AVAILABILITY: The DBX style is available in 3 color designs and 5 sizes. BlueSkyBlue Delta Ultimate Flying Suit The BlueSkyBlue Delta Ultimate Flying Suit is a 4 layer garment designed for great for use in cold weather and s perfect for use in open cockpit microlights. 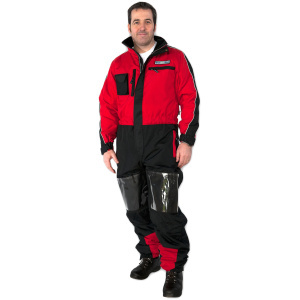 Typically, this suit is perfect for use in open-cockpit microlights at altitudes of up to 10,000 feet. Many high-altitude paraglider pilots and other leisure aviation pilots also find this top of the range suit to be ideal. LAYERS: 1) The outer fabric is called TASLON ® which is windproof and has a great soft feel for comfort. It is very durable and is coated in PU (polyurethane) to resist water. 2) The outer-middle layer is 100gsm POLYFILL QUILTING. This is a superior insulating material which is designed to retain your body’s heat as much as possible. 3) The inner-middle layer is 100gsm THINSULATE™ made by 3M. The unique microfibres of Thinsulate™ Insulation are about ten times smaller than the fibres of most other synthetic insulations, which means they’re much more efficient at trapping air. . . and more effective at keeping you warm. It also means more fibres can be packed into the same space, where they can reflect back more of the body’s radiant heat without being bulky. 4) The suit lining is black POLYESTER which is dyed using only azo-free materials in the production process. .
ZULU style SUMMER flying suit 2 Layer The BlueSkyBlue Paramotoring Summer flying suit is a 2 layer garment designed for use in fair weather. 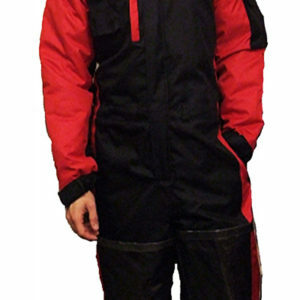 Typically, this suit is perfect for use in paramotoring or open cockpit microlights during the Summer at altitudes of up to 3000 feet. 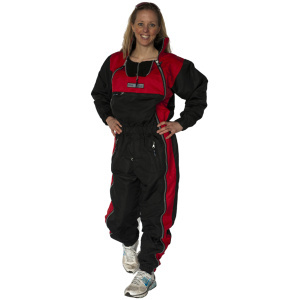 Many glider pilots and other leisure aviation pilots also find this Summer weight suit to be ideal.